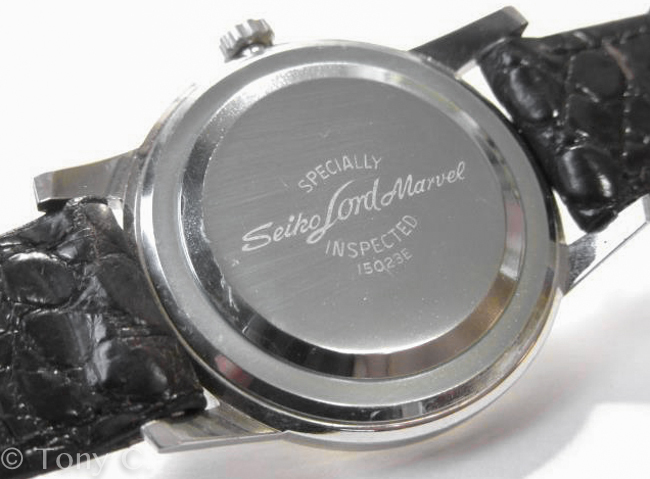 As some readers will know, the Marvel was Seiko's first high-end model line. 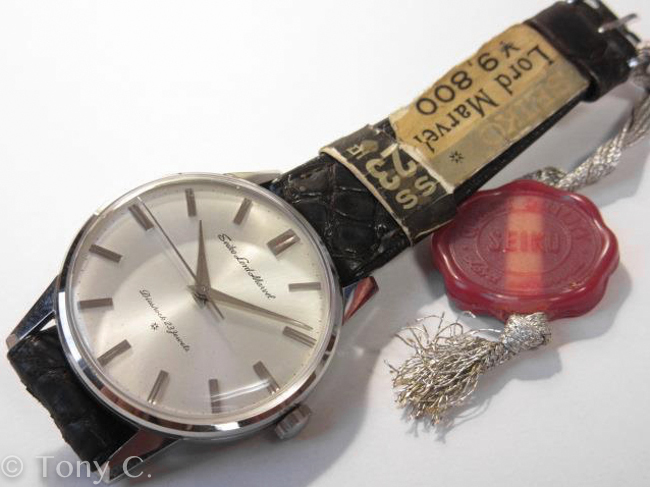 The subsequent Lord Marvel model then took the mantle (in 1958) as Seiko's top tier, prior to the introduction of the iconic Grand Seiko. 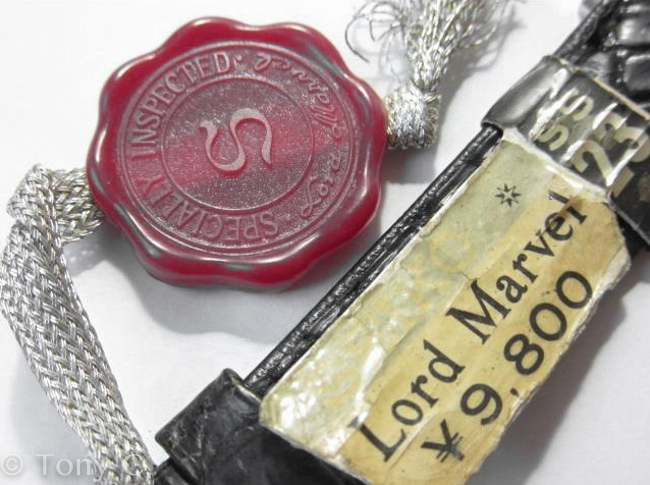 The early Lord Marvels had 23 jewels, as opposed to the Marvel's 21, employed better materials, and were more finely adjusted. The signature was engraved on the dial on these early versions, and they featured high-quality snap-back cases. They were also at least 30% more expensive than their Marvel predecessors. There were many different Lord Marvel models, and the line is perhaps best known for its fine, 36,000 hi-beat models, the first such movements manufactured by Seiko. This is one of the early versions, and in remarkably original condition. This is an amazing piece of Japanese horological history. Thanks for sharing! I love the tags also.